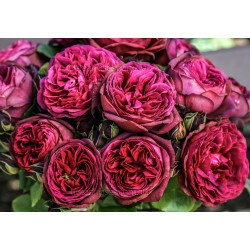 The medium sized, velvet burgundy red flowers are very full and qauartered, with the shape of old, historic roses. 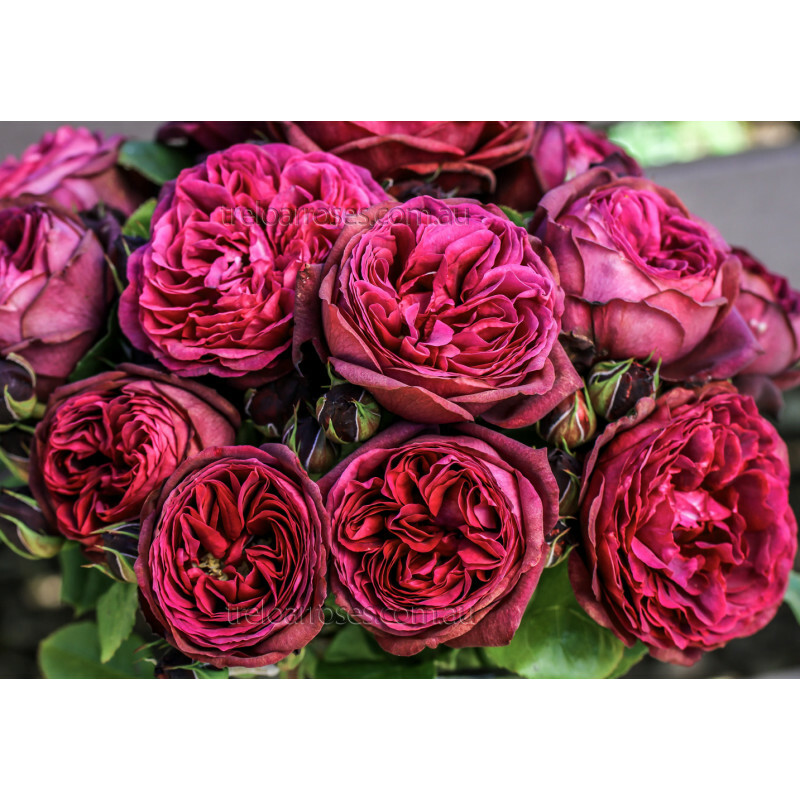 Very strong frangrance with notes of vanilla and honey jasmine. Tall growth to approx 1.5m high. 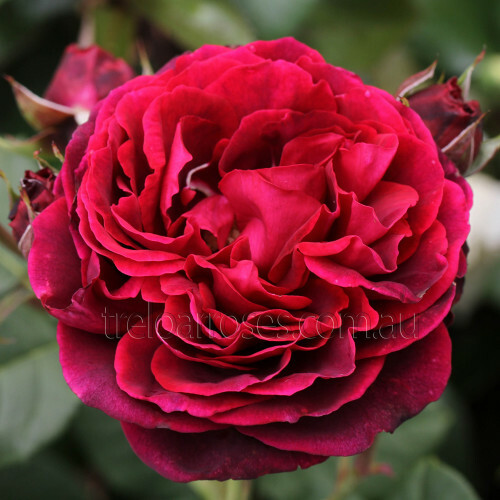 This rose honours the 'World's Greatest Sprinter' and the overwhelming enjoyment all Australian's get from her.